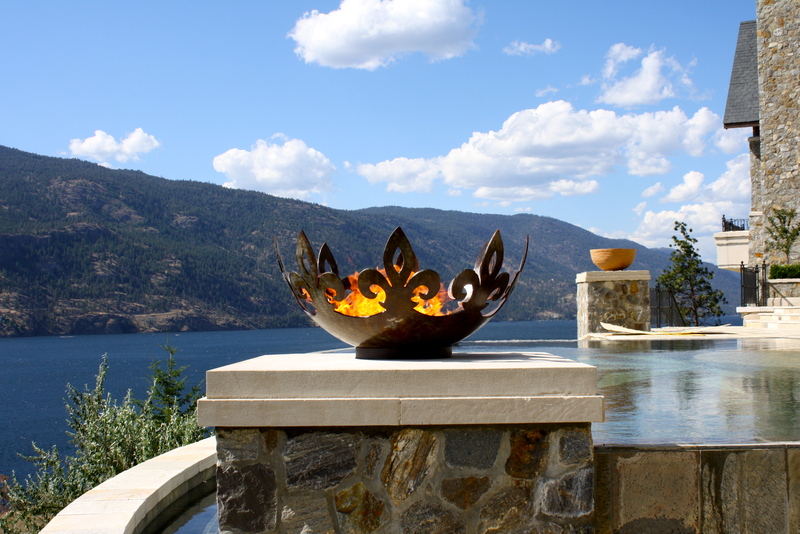 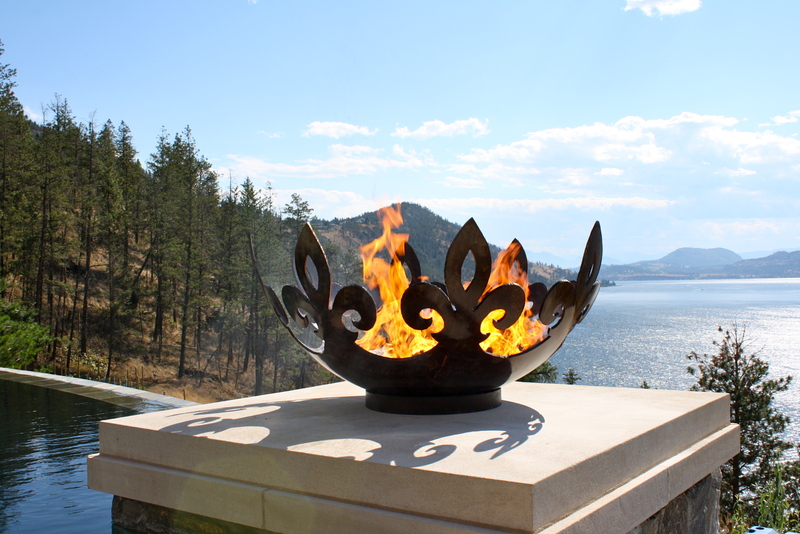 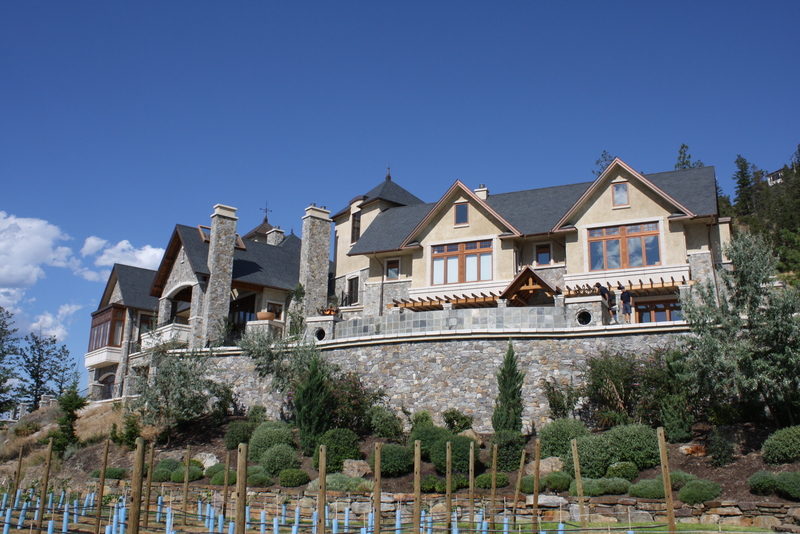 These twin Fiery Fleur-de-Lis 37 inch Sculptural Firebowls™ flanking an infinity pool over Lake Okanagan in British Columbia were a commissioned design. 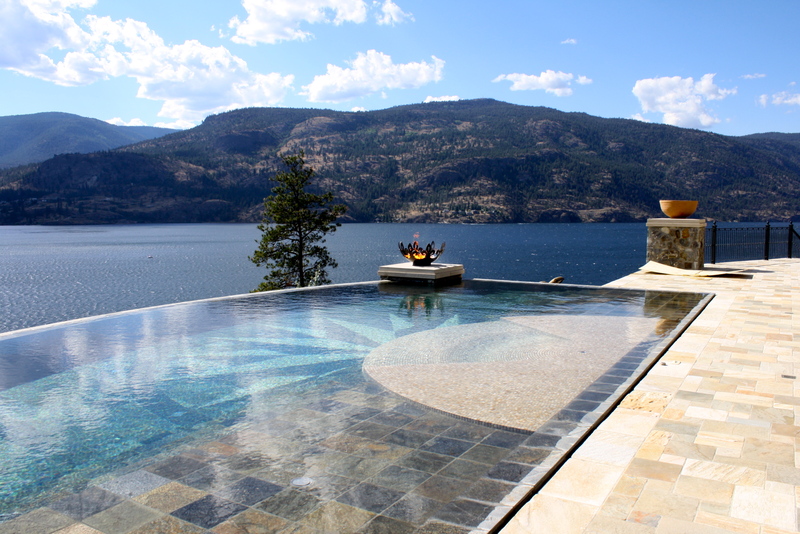 I worked together with the client to come up with the drawings and scale, and when they were done, we were both so pleased with how they turned out that I asked his permission to make them a stock design. 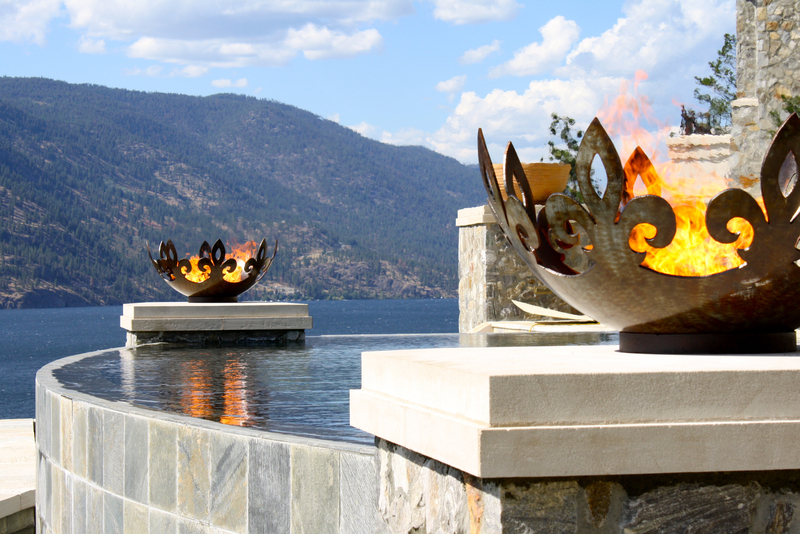 They were the first of many more to be made. 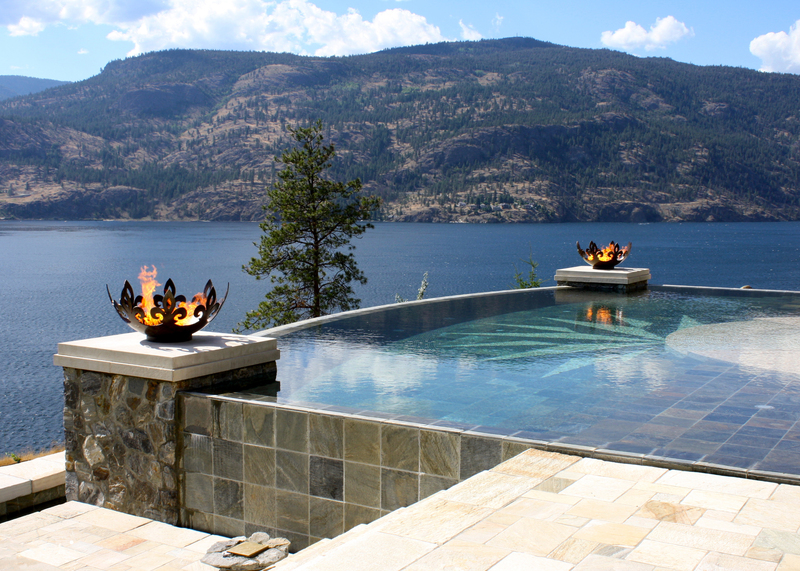 The photos below demonstrate just how dramatic it can be to add fire features to a pool. 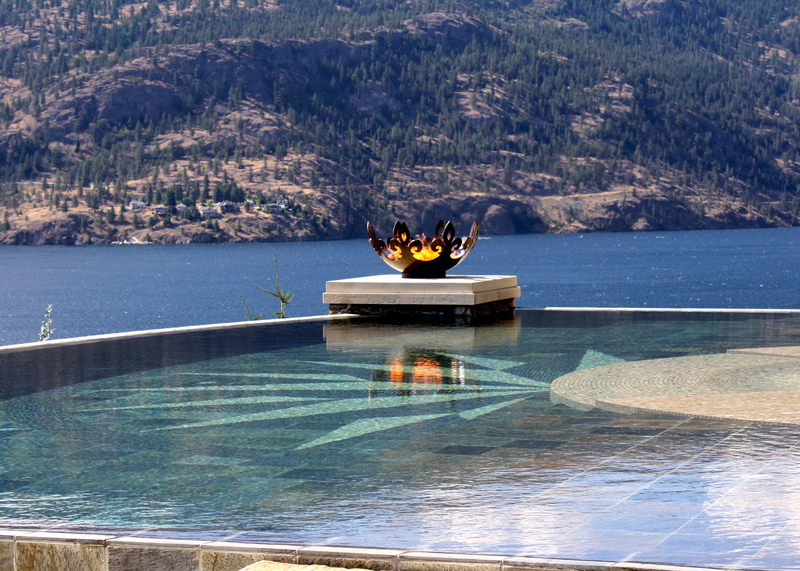 The flame reflecting on the water is truly beautiful.